REENACTMENT. Palm Sunday reenacts the triumphant entry of Jesus Christ into Jerusalem, as in this scene at the Baguio Cathedral on April 14, 2019. Israeli police say an estimated 15,000 people took part in the procession. 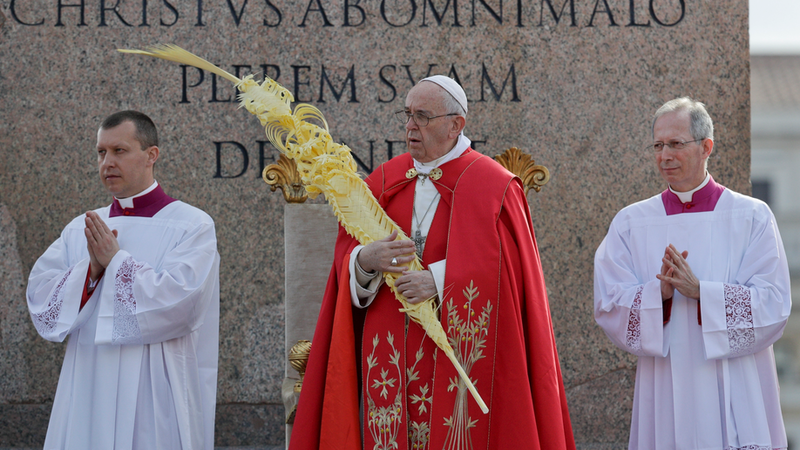 Commemorating Palm Sunday with palm branches goes back to the early Christian church. The pope called on young people not to be ashamed to show their enthusiasm for Jesus but at the same time not to fear following "him on the way to the cross".